Greenpeace vessel and crew of 35 arrested after protesters violated the safety zone around Statoil’s rig at the Korpfjell field in the Barents Sea. Korpfjell field is the northernmost oil-drilling ever made in the Barents Sea, located at 74 degrees north, some 415 kilometers from mainland Norway. 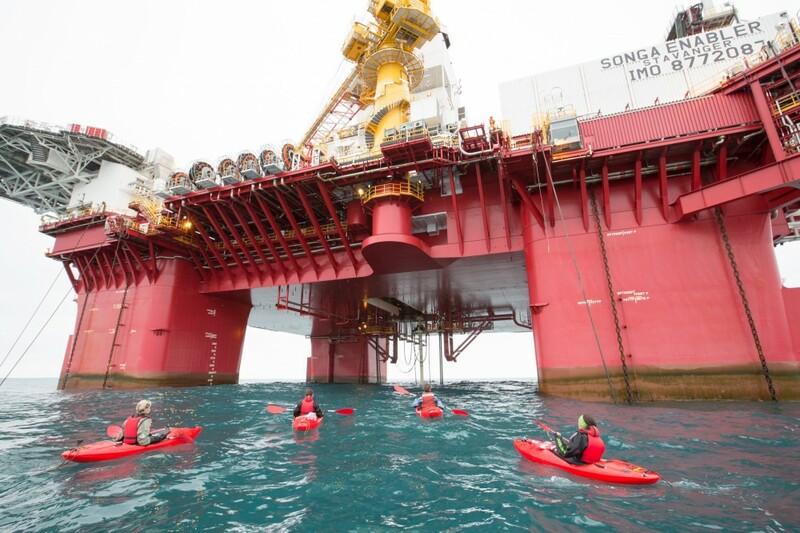 Protesting the drilling, Greenpeace activists on Thursday entered the 500-meter safety zone around the rig «Songa Enabler» with kayaks and a floating globe with signatures from people all over the world demanding an end to the on-going drilling. Norwegian police ordered the protesters to leave the security zone, pointing to violations of the Petroleum Act. When Greenpeace refused to leave, the police in Tromsø requested the Coast Guard to take actions. Crewmembers from the Coast Guard vessel «KV Nordkapp» shortly afterwards entered «Arctic Sunrise», took seizure of the ship and arrested all 35 on board. The police writes in a press-release that Statoil has permission to drill in the area, a permission given by Norwegian authorities. «Personnel and small boats from Arctic Sunrise have not left the security zone, despite the oil rig’s request to do so, and so they are disturbing the oil drilling. This is violating Norwegian interests according to the Petroleum Act,» the press-release reads. «KV Nordkapp» is now steaming towards Tromsø at a speed of 10 knots with «Arctic Sunrise», expected to be at port Saturday evening. Head of Greenpeace Norway, Truls Gulowsen, disputes the Coast Guard’s right to take arrest in the ship. He says Norwegian authorities should be more worried about climate changes. Greenpeace cites the freedom of navigation act under the United Nations Convention of the Law of the Sea. «Protest at sea is an internationally recognized lawful use of the sea related to the freedom of navigation,» Greenpeace writes in a press release sent late Thursday evening. «Arctic Sunrise» on tow towards Tromsø by the Norwegian Coast Guard vessel «KV Nordkapp» in the Barents Sea. This screenshot from MarineTraffic.com is from 6 am Friday morning (Norwegian time). This is not the first time «Arctic Sunrise» is boarded and arrested for protesting oil drilling in the Barents Sea. In September 2013, Russian Coast Guard boarded and took over the vessel after activists climbed on board GazpromNeft’s «Prirazlomnaye» platform in the very eastern Barents Sea. «Arctic Sunrise» was then taken towed to Murmansk where it was held in port for nine months. The 28 Greenpeace activists and two freelance journalists on board spent two months in prison, first in Murmansk and later in St. Petersburg before being released by an amnesty. 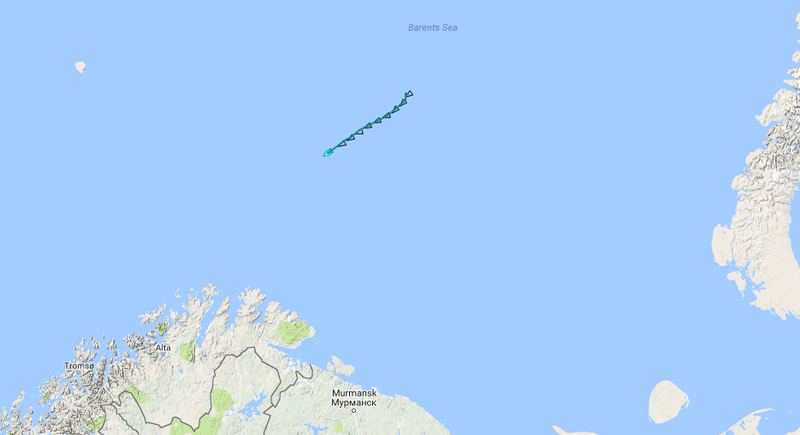 The protest voyage to the Barents Sea this summer is the first since the vessel was repaired after the arrest period in Murmansk. This summer, Statoil has its most active Barents Sea drilling campaign ever.